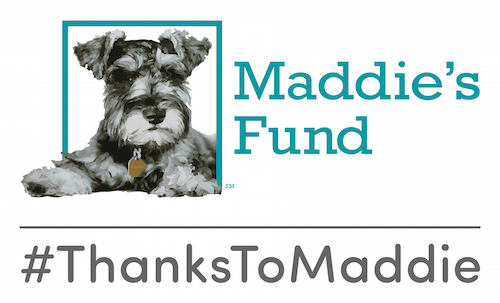 On Saturday, May 26, Maddie’s® Shelter Medicine Program was proud to watch the five 2012 recipients of our Maddie’s® Certificate in Shelter Medicine officially become veterinarians. Recipients of Maddie’s Certificate in Shelter Medicine, UF CVM Class of 2012, with Dr. Julie Levy (left) and Dr. Cynda Crawford (right). While most veterinary students at UF train in some aspects of Shelter Medicine, these veterinarians have shown the true meaning of compassion and dedication, taking advantage of every opportunity to advance their knowledge for the betterment of homeless and sheltered pets. Congratulations, recipients of the Certificate in Shelter Medicine, Class of 2012! Each day we’re inspired by the compassion and enthusiasm shown by our veterinary students – the next generation of advocates for shelter pets. We are honored to have had the opportunity to work with these individuals during their time here at the University of Florida, and we can’t wait to see everything that they will continue to accomplish as they move forward. Congratulations and best wishes to the Class of 2012!